Prof. Dr.-Ing. Bernhard Jung studied computer science and computer linguistics at the University of Stuttgart, Germany, and the University of Missouri, Saint Louis. He received his doctorate degree from the University of Bielefeld with a thesis on dynamic knowledge representation as well as a Habilitation degree for a thesis on intelligent virtual environments. From 2003 to 2005 he was full professor for Media Informatics at University of Lübeck's International School of New Media. 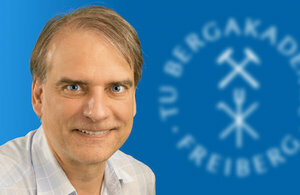 Since October 2005 Bernhard Jung chairs the Virtual Reality and Multimedia group of the University of Technology and Mining in Freiberg, Germany. Prof. Jung's research interests are in the fields of Virtual Reality, Large Data Visualization, Human-Computer Interaction, and Advanced Robotics. B. Jung, H. Ben Amor, G. Heumer, A. Vitzthum. Action Capture: A VR-based Method for Character Animation. In Virtual Realities. Dagstuhl Seminar 2008. Springer. 2011. 97-122. B. Jung & S. Kopp: FlurMax: An Interactive Virtual Agent for Entertaining Visitors in a Hallway. In T. Rist et al. (eds. ): Intelligent Agents. 4th International Workshop, IVA 2003, Kloster Irsee, Germany, September 15-17, 2003, Proceedings. Springer, LNCS 2792. 2003, pp. 23-26. S. Kopp, B. Jung, N. Leßmann, I. Wachsmuth: Max - A Multimodal Assistant in Virtual Reality Construction. KI-Künstliche Intelligenz 4/03, 2003, pp. 17-23.